Expect to see more medical breakthroughs and better internet in the future. You never know what’s going to be the next big thing. CB Insights, a firm that analyzes tech trends, released a report today exploring the up-and-coming industries that will create some of the most impactful innovations in the near future. The study highlighted the potential for medical breakthroughs, looking at companies that make synthetic biological products, advanced prosthetics and software and artificial intelligence to better diagnose illnesses and develop better medications. The report also showcased businesses working towards advances in how we use technology, such as utilizing data for spatial mapping, making stronger internet networks and improving computer storage. 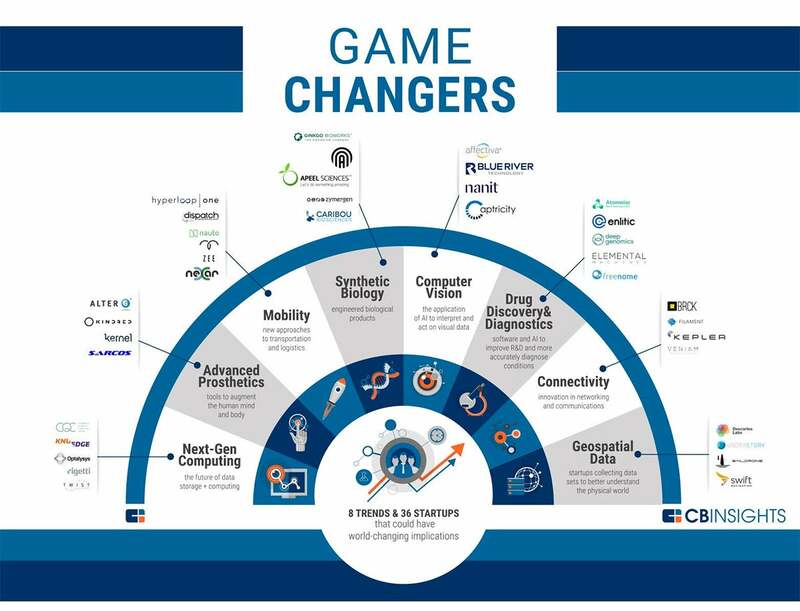 Check out the graphic below to learn more about the startups with their eyes on the future.